Emerging Markets Online is a consulting and market research firm specializing in low carbon fuel initiatives, advanced biofuels development, feedstock sourcing, and strategic partnerships. 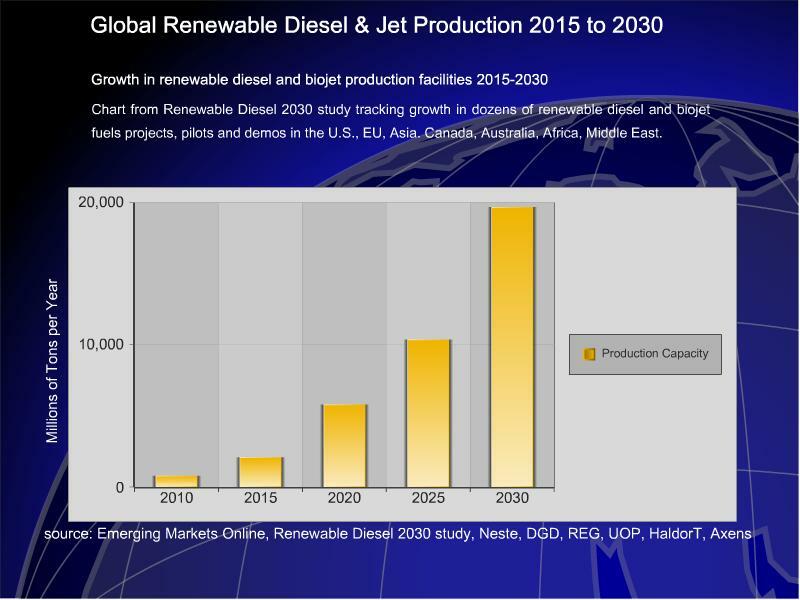 Around the world, urgent demands for low-carbon fuels are prompting increased investment in renewable diesel and sustainable aviation projects. Growing demand for these fuels continues to outpace supplies, spawning a growing number of government, commercial, and public-private partnerships. Emerging Markets Online is tracking these activities for our consulting services clients, and is publishing a summary of findings in our Renewable Diesel 2030: Low Carbon Fuels for Air, Land and Sea study, detailing emerging regulations, markets, technologies, and investments. 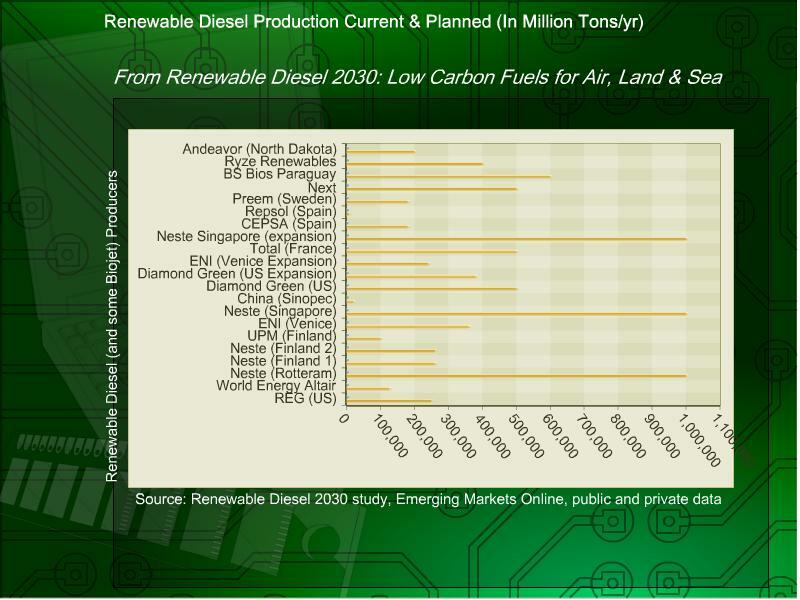 A table of contents, figures, and order form for Renewable Diesel 2030 is available here. In the emerging markets of Asia, Africa, Latin America, and the Middle East, growing middle class populations are demanding more proteins, higher quality feedstocks, and better nutritional supplements. 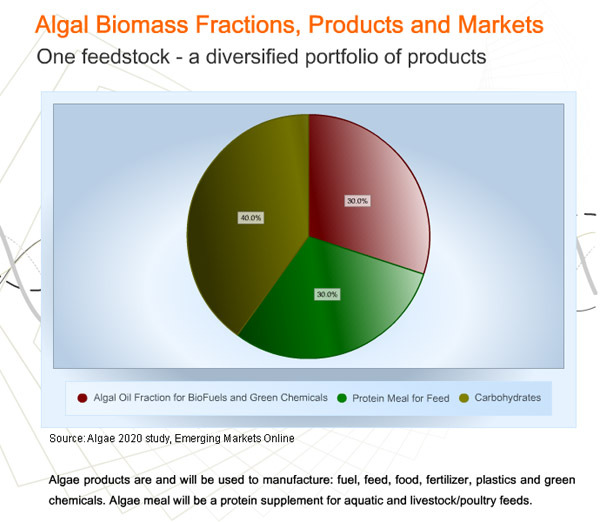 Our consulting group works with advanced biofuels and nutrition producers to source specialized feedstocks, find strategic partners, and enter new markets. Here is a summary of some of the assignments we have completed for our consulting clients.